After a 5-1/2-year stint as a project engineer and project manager at Brown and Caldwell in Pasadena, CA, Bryant joined CH2M HILL in Newport Beach, CA, on April 8, 1985. After 29 years with CH2M HILL, Bryant retired in 2014. He was one of the first employees of CH2M Hills’s Southern California’s office and its first hazardous waste engineer. He progressed from project manager to program manager and worked on numerous programs for the U.S. Environmental Protection Agency, the US Navy environmental clean-up, and the Ports of Long Beach and Los Angeles. He attended the University of Hawaii (UH) graduating with a B.S. Degree (high honors) in Civil Engineering in 1978. He completed his M.S. Degree in Environmental Engineering from the University of Illinois (UI) in 1979. As a student, he worked as a summer-hire engineering technician for the federal Civil Defense program, student laboratory technician for the UH Water Resources and Research Center, and research assistant at UH and UI. 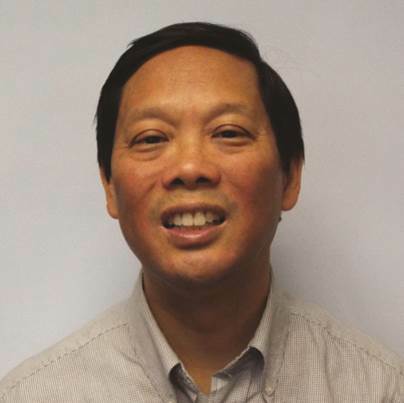 Bryant Wong, P.E., is a retired California Professional Engineer with over 35 years of engineering consulting experience, primarily with legacy CH2M and Brown Caldwell. His professional experience spanned water/wastewater engineering, hazardous waste engineering, environmental compliance, project management, operations management, and program management. Mr. Wong graduated with a B.S. Civil Engineering degree from the University of Hawaii and M.S. Environmental Engineering degree from the University of Illinois. He has been active in ASCE for over 40 years, holding various leadership positions including LA Section YMF President, LA Section Treasurer, and LA Section Newsletter Editor. In his career, he has mentored over two dozen environmental professionals and has been active in the ASCE Orange County Branch mentoring program. Bryant is Almost a life member. I believe He becomes a life member in 2 years. Yet his contribution to ASCE , UCI engineering students and high school students happened this year, for which I think he deserves an award. He is a great example of how one can contribute to ASCE and the profession once retired. Bryant has been active in the American Society of Civil Engineers since 1976, having served in numerous officer roles for the Los Angeles Section including President and received national honors. He continues to do volunteer work with the Society. Bryant has continued to serve the profession even into his retired years. He was very instrumental in developing a unique, sustainable funding program for university student competitions. Understanding that many university team were facing challenges gaining sufficient funds to effectively compete in civil engineering student competitions (like ASCE’s concrete canoe or Steel Bridge competitions), Bryant Wong got involved. The idea was to develop a program that got local consulting firms to become more involved and supportive of student efforts. Starting in June he helped work on a prototype. A model that could be replicated in other schools. With the vision of close cooperation with ASCE OC YMF he helped spread the idea through a series of meetings with students, faculty, ASCE student chapter, ASCE YMF chapter. Today the model is being “field tested” at UCI. The current UCI program would fund three competitions, ASCE’s Concrete Canoe, Steel Bridge competition and Earthquake Engineering Research Institute (EERI) Undergraduate Seismic Design Competition. The plan is, together with ASCE OC YMF, to roll out this funding method over the next few years to the other local Universities the YMF group is working with. In a second smaller side effort, Bryant helped add yet another local Orange County school to ASCE’s Popsicle Bridge competition. It has been a long-time goal for ASCE OC YMF (at least 5 years or more) to increase participation in the Popsicle Bridge competition from Orange County high schools. For many years, the competition has been dominated by Los Angeles County schools without a strong representation from Orange County schools. Bryant was the coordinating catalyst to help get the high school in his home city of Mission Viejo to join. After pursuing and connecting with the principal, he got the school potentially interested. He then worked with Eric Walker, the current YMF Popsicle Bridge Competition Chair, to give the science class a personal talk on the competition and the exciting potential for a career as a civil engineer. The talk was effective and the school was aboard.